We’ve seen a recent trend in holiday shopping, especially on Black Friday, as more and more shoppers are taking advantage of the steep discounts to buy things for themselves. 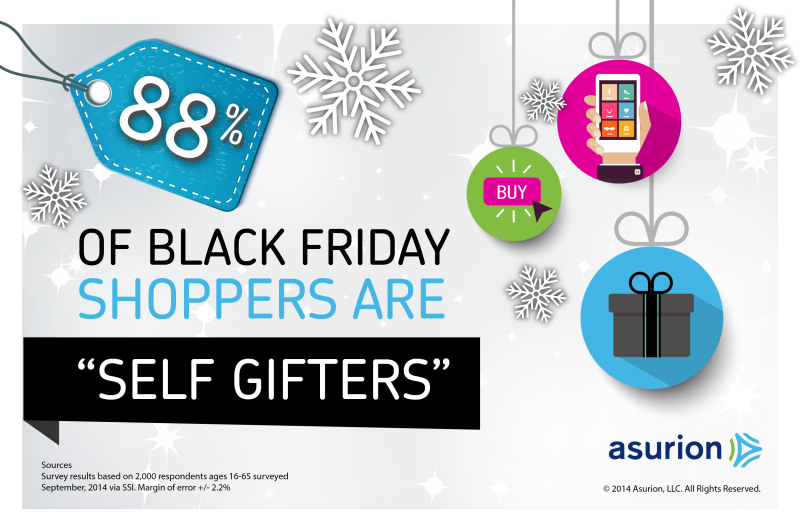 The “self gifters” are becoming increasingly popular with 88% of Black Friday shoppers this year including themselves on their holiday shopping lists. Be sure to add a protection plan to your electronics, sporting goods and jewelry this year. Ask your retailer for more information.